Today was all about the miles. Without my passenger, the bike was now lighter and I even “stole” my wife’s pillow for a cushion. No excuses. 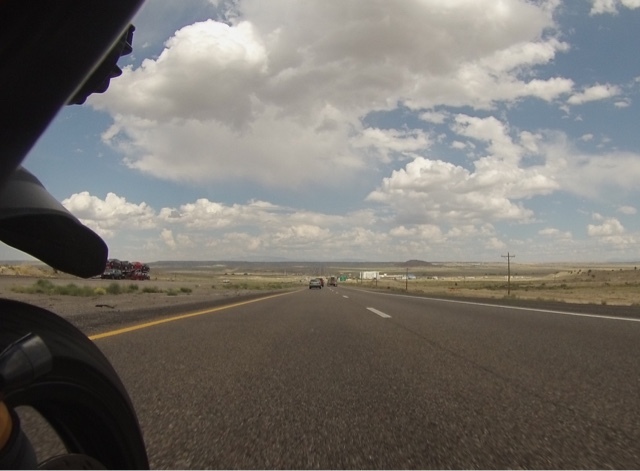 I left around 9 in the morning and headed for Albuquerque. With only a short stop for a cup of coffee, I was there mid day around 4. I was starving and also needed some new gear and lube for the bike. 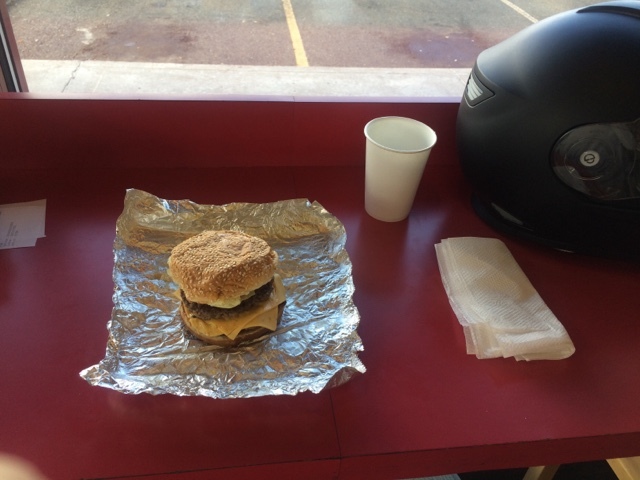 I got myself a juicy California burger before heading for Cycle Gear. I wasted a good hour, before needing coffee, so I think I wasted another hour charging myself and my helmet at Starbucks (the last one on I-40, I have yet to see another). Albuquerque could have been my final stop for the day, but with thunderstorms forecasted for tomorrow in Amarillo, I was determined to get ahead of the weather. I wasn’t sure if I could make it all the way, but I could at least make it to Santa Rosa. I had right to be concerned about the weather. On my way to Santa Rosa, I barely missed two or three thunderstorms. 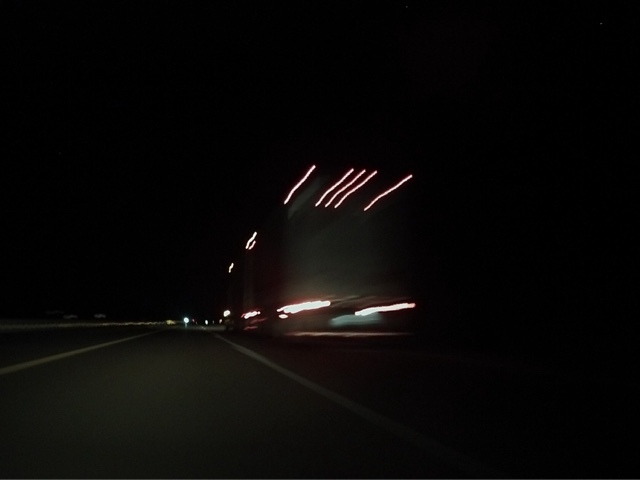 I could see them tracking North, but I only got a few drops, literarily, as I passed between two of them. Santa Rosa was quite green and pretty. 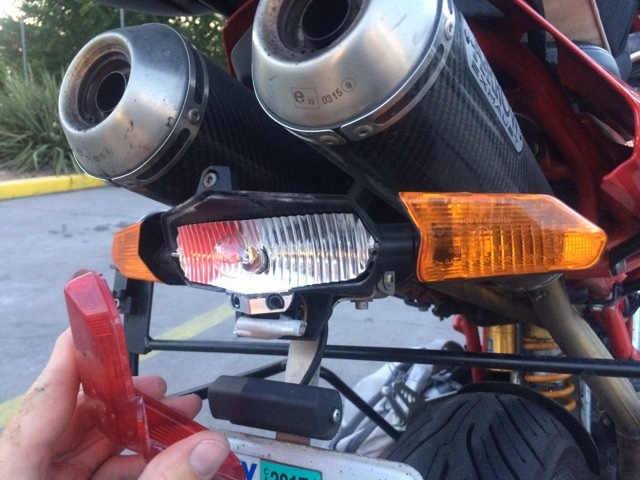 Daylight was fading and my taillight wasn’t working, so at my refuel stop I had to waste even more time changing the bulb. Luckily I had a spare. I needed another recharge, so I got dinner and some black tar that passed for coffee, while researching my options using the restaurant’s wifi (haven’t had proper cell coverage, since Oakland). Lots of cheap hotels in Santa Rosa, it was tempting to stay. But, only two and a half hours to Amarillo. If I could make it, I will have a shot at making it to Dallas next and maybe even New Orleans before the weekend (weather looks good Wed-Fri). I decided to go for it. I’d be there before 11 pm. Riding at night wasn’t so bad, had it not been for the winds. 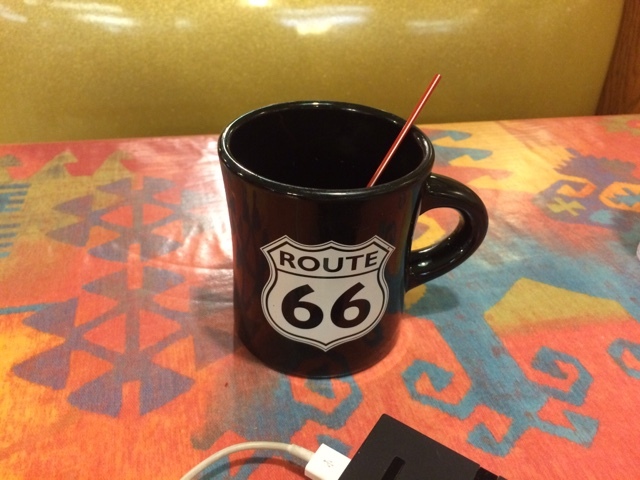 It required me to stop and gear up with everything I had, but the coffee and some music kept me focused. I finally arrived half an hour after midnight. Wait, what? Oh right, I just crossed two time zones in a single day of riding. Wow! No wonder time was slipping away from me. I put down 574 miles today, a new record.